Dear Editor, Can I Use Song Lyrics In My Novel? 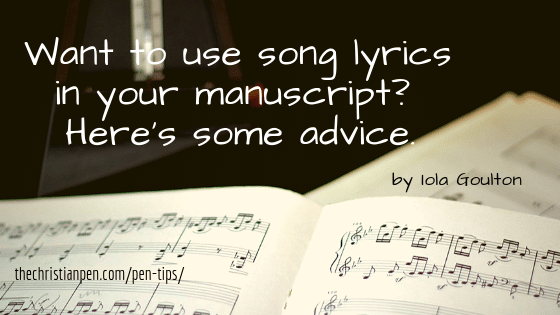 “Dear Editor, can I use song lyrics in my novel?” is a question I hear often. Copyright is international and automatic. In the U.S., content creators can register their copyright with the U.S. Copyright Office (U.S. Copyright Office), but this is not compulsory and most countries don’t have registration programs. The material is in the public domain (e.g. because the content creator died more than seventy years ago, or the publication was before 1923). You have written permission from the copyright owner. Your usage can be considered fair use. You can open a book, look at the copyright page, and that tells you who owns the copyright to that book, and the copyright date. Steve Laube has some handy information on how to find if a work is covered by copyright in this article: When Does a Book Become Public Domain? If the song is covered by copyright, then you’ll need permission. However, this can take months, and is often expensive (thousands of dollars to use a single line). Is the proposed use commercial? Will you make money from it? Will you change or transform the work in some way? Is the purpose commentary or criticism? A book meme quoting twenty words from an 80,000-word novel is likely to be considered fair use because it changes the work, and it’s not commercial. A book review is fair use, because it’s considered commentary and criticism. A blog post quoting twenty words from a 200-word song might be considered fair use, as it’s not commercial. But it might not. Instead, try embedding the YouTube video in the blog post, or hyperlinking to another website that includes the song lyrics. A novel quoting twenty words from a 200-word song is unlikely to be considered fair use, because it’s commercial. Unfortunately, there are no clear rules over what is and isn’t fair use. Getting it wrong could result in an expensive law suit. My view is it’s best to avoid using song lyrics in your novel unless they are in the public domain. Please note that I am not a lawyer, and this is not legal advice. To get legal advice, you should pay a lawyer licensed to practice in your state or country. 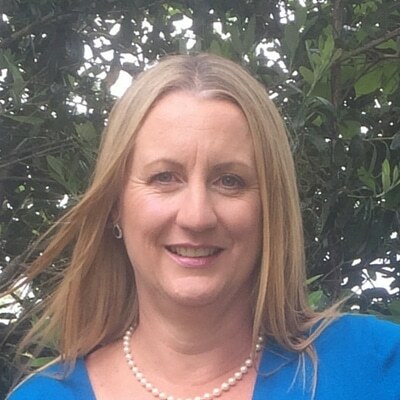 Iola holds a degree in marketing, has a background in human resource consulting, works as a freelance editor, and has developed the Kick-Start Your Author Platform Marketing Challenge, an email course for authors wanting to establish their online platform. Check out her website here.